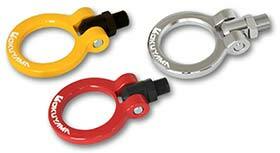 This made of steel swivel tow hook installed on manufacture original tow hook hole. 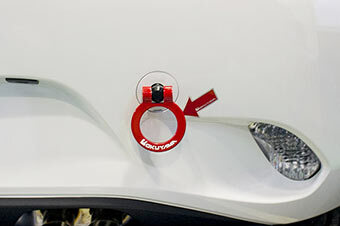 This swivel tow hook can lock at 0degree/90degrees/180degrees position to prevent from scratching the body. 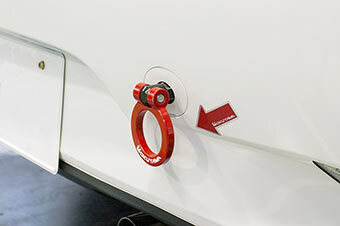 You can drive your vehicle on the street with the hook locked at folded position. Comes in two colors for your choice. It is a good dress-up item to add competitive look to your vehicle.